I am so excited to announce a giveaway for one of my family's favorite products! Just in time for the summer barbecue season, Under the Big Oak Tree will giveaway some lip smacking good BBQ products from Butch's Smack Your Lips BBQ! Three lucky winners will receive a bottle of Butch's Smack Your Lips BBQ Sauce and a jar of Magic Dust Dry Rub! We love the Butch's Smack Your Lips BBQ products and plan on using them a lot this summer! I already stocked up on several sauces and rubs by placing an order on the Butch's Smack Your Lips BBQ website! We'll be doing a lot of grilling this summer: pork, chicken, salmon, burgers....Mmmmm! 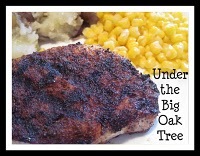 Magic Dust Dry Rub used on grilled pork chops. Boneless chicken breast slathered with Butch's Smack Your Lips BBQ Sauce. A few months ago, Joe went wild boar hunting with his nephews. Since we now have a freezer full of wild boar (pork??? ), I want to try Butch's recipe for pulled pork as seen on Throwdown with Bobby Flay. You can find the recipe at FoodNetwork.com. Butch appeared on episode 114 of Throwdown with Bobby Flay. On Demand is currently running this episode. Check out your On Demand menu for episode listings. Check out Debbi's recipe for BBQ Chicken Enchiladas. 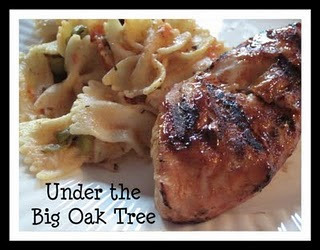 She incorporated both the sauce and dry rub into this recipe making it a favorite in my house! 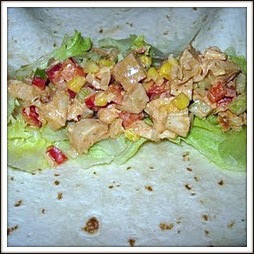 Just recently, I substituted some of Butch's sauce for my usual homemade sauce in my BBQ Chicken Salad Wraps. Perfect! I could go on and on and on....but I won't! Instead, I'll get down to the giveaway details! Three winners will be selected via Random.org. There will be several ways to enter. Be sure to leave a separate comment for each entry. Don't forget the mandatory entry should be done first in order for the bonus entries to be counted. I have another giveaway to post in a couple of days. If you enter that other giveaway, you will earn another entry to this giveaway! Just come back here after entering the other giveaway/s and let me know (in a comment) that you entered. Giveaway will close on June 13th at 10:00 pm, EST. Three winners will be chosen by random.org and contacted by email. Winners will also be announced in a new blog post and will have 48 hours to claim their prize, otherwise a new winner will be selected. This giveaway is open to residents of the US or Canada only. I love the instructional videos. I learned he won over 500 awards.... I WANT TO WIN!!! For the past 25 years, Butch Lupinetti and Butch's Smack Your Lips BBQ has traveled all over the US and Canada winning over 500 awards. 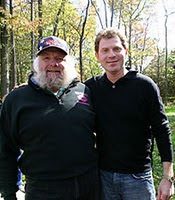 I learned that he won Best Ribs at the Jack Daniels World Championship Invitationalin my home state of TN. I'm a fan of yours on FB. Be sure to come by for the Follow Friday 40 and Over Blog Hop! I've had this and it's awesome! Gotta order me some more! I learned he has been traveling all over the country for 25 years and has won over 500 awards including Best Ribs at Best In The West Rib Cook Off in Reno, Nevada, which is known as the Super Bowl of Rib Competitions. I learned Butch beat Bobby Flay in a BBQ throwdown. diehard247 at gmail dot com. I'm a fan of Butch's on facebook. I like Under the Big Oak Tree on Facebook. TY for stopping by my blog and letting me know about this great giveaway! I learned: Butch has been repeatedly recognized as one of America's Great Barbecue Pitmasters. Barbecueing, to this Multi-Award Winning Champion, is a Passion. 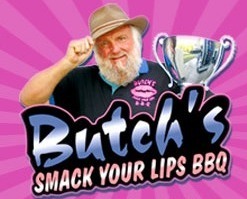 I like Butch's Smack Your Lips BBQ on FB - Janet Fri and I left the message on their wall that you sent me. I learned that Butch has been doing this for over 25 years and has won 500 awards. I Liked Butch’s on Facebook as Lynda Clark and told them you sent me. I love their saying: "You'll love our recipes so much you will want to kiss them first!!" I'm happy follower, I went to Butch's website and I'm thinking I want that cookbook too!!! I enjoyed the video,he is so country I can relate!! I "liked" on facebook! And am following on Twitter too! Alison...you are amazing! Your weight loss is fantastic! You go gurl!! 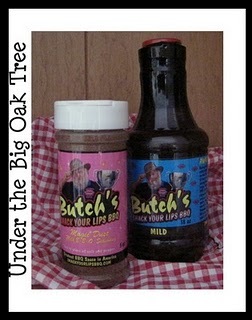 I Liked Butch's Smack Your Lips BBQ on Facebook and told them that Under the Big Oak Tree sent you. I Follow Under the Big Oak Tree publicly using Google Friend Connect. I follow UTBOT on Twitter and tweeted about this giveaway!! I will be back with a blog post later!! It was surprising to learn that Butch from Butches's BBQ was a KCBS Grand Champion for the State of New Jersey since we just has a KCBS BBQ cook off hosted by the Green Lane Fire Company in Green Lane, PA this past May. I also love the fact that he beat Bobby Flay in the Best BBQ Throwdown on the Food Network! You did your family well Butch! Butch has a beard, a nice smile, and he has a cookbook. He travels all over making barbecue. I learned butch beat bobby flay!! It must be good! !